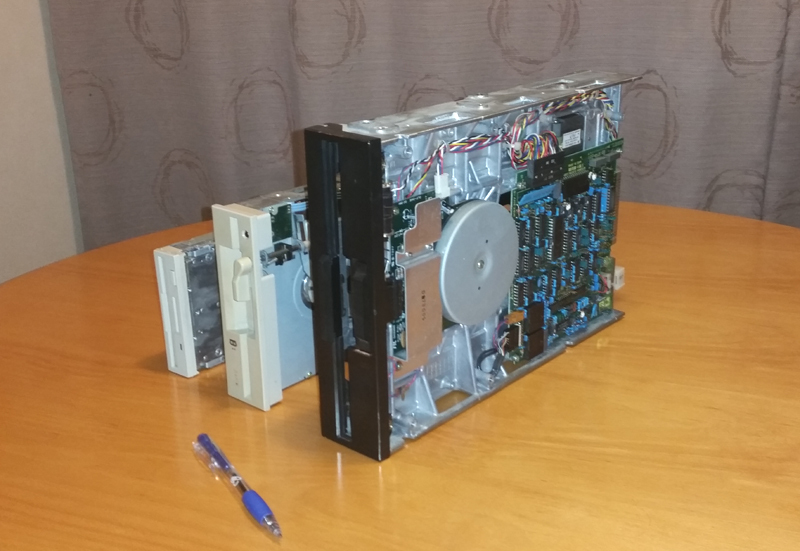 This is the first episode in a series of blog narratives, detailing recent fun with a newly gifted 8’ floppy disk drive. This page covers the drive and explains my motivation for wanting one. I recently acquired an 8" floppy disk drive and have been having a lot of fun with it. Such hardware is a common item in the miscellaneous hoard of 1970's " old iron" collectors, but is not usually owned by a collector of classic ‘80’s computers such as myself. So why did I want one?? Even microcomputers of the late 70's and 1980's (admittedly, the early 1980s) have been known to use the grandfather of all floppy disks, the 8” behemoth. I have two of these 8" disk-capable machines, a Panasonic JD-850M and a New Zealand Polycorp Poly 1. Disks containing commercial software came with both these machines. Now, unlike your garden variety Commodore 64s, Apple IIes and the like, the Panasonic JD-850M and Polycorp Poly 1 are not common. In fact, prior to the adventures outlined in these series of posts, it is possible that the ONLY place in the world the aforementioned software still existed WAS on my disks! Consequently, feeling a kind of "Jason Scott" sense of cultural responsibility, I was keen to get these disks imaged and/or the files extracted from this limited-life media. Figure 2: Panasonic JD-350M and Poly 1 Software. There was another reasons I wanted an 8" drive. 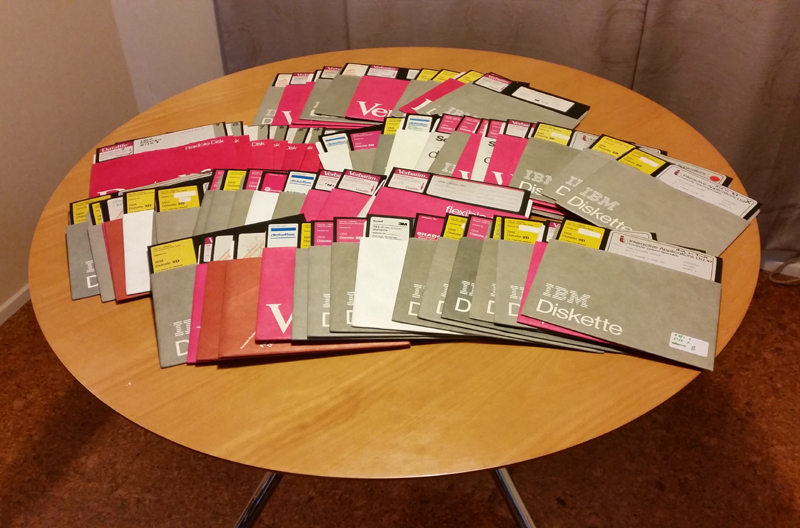 People occasionally ask me to get files off disks for them. Prior to now, 8“ disks had not been an option. I wanted to add file extraction (or imaging) from disks of this size to my range of capabilities. The drive concerned is a Mitsubishi M2896-63. This is a double-sided half-height direct-driven (no belt) model from 1984. It’s probably the ultimate 8 -inch disk drive, able to cope with a wide variety of formats. It's a beautiful piece of gear given to me on long-term loan by a friend (thanks Leith!). For those who might be interested in a closer look, a manual can be found here. On inspection the drive was clean and well-looked after. There were no signs of bangs or scrapes. At this point I considered housing it in a case but postponed that for now. During the tasks to come I wanted to see the drive physically working, in case there was a problem. Although it looked a fine piece of machinery its working status was unknown? Were the electronics ok? Were the heads undamaged and was the motor functional? The only way to find out was to connect it up and test it.